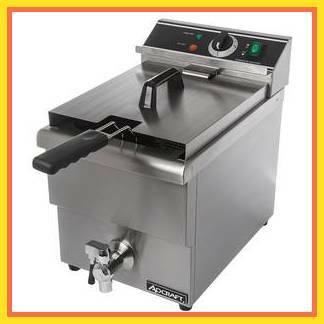 90K BTU Gas Deep Fryer NG. 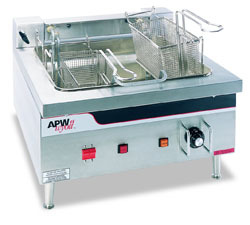 Cook up to 25 lbs of food per hour per tank in this heavy duty fryer. Each 6 liter tank has a faucet which allows for worry-free removal of oil. 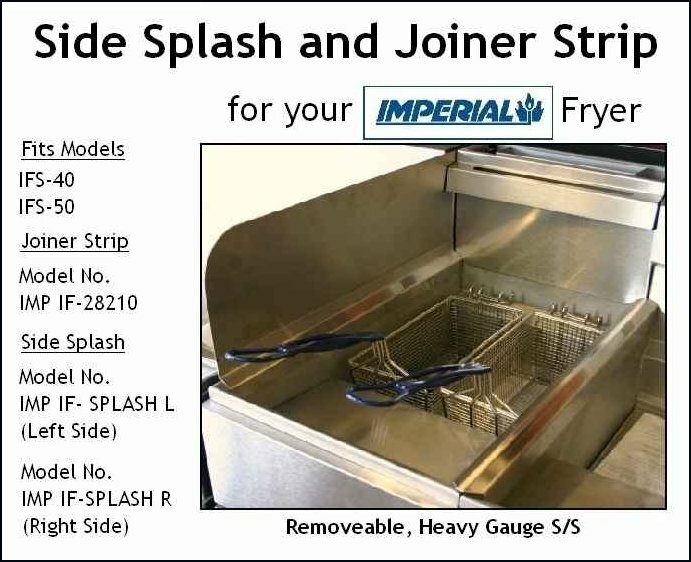 The tank insert is calibrated for ease of measuring. 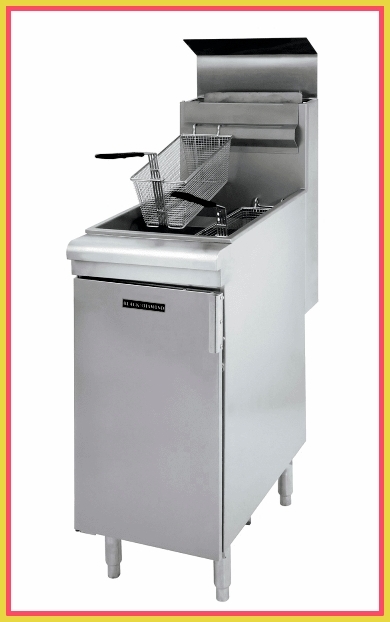 Constructed of heavy duty stainless steel for durability. 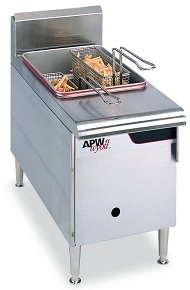 A heavy duty fryer basket with a heat-resistant handle is included. 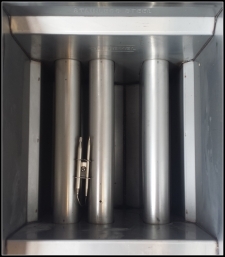 Heating coils are protected by a wire grate (included). 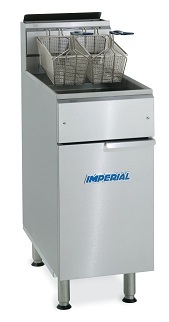 Temperature control switch adjusts from 120° F -375° F.
Overall dimensions 11-1/2" x 18" x 16".